Make the Good Stuff a part of your everyday life! 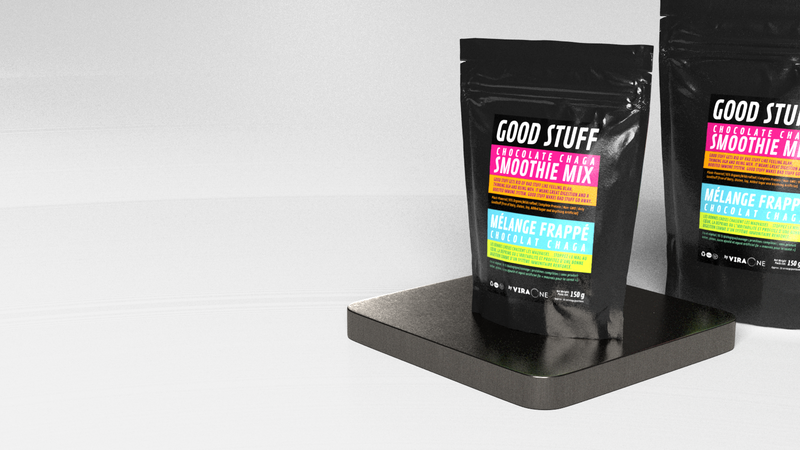 Our whole food health mix blends with your favourite beverage for a quick blast of sustained nutrition. "I thought I had found the perfect all-in-one nutrition drink before, but it doesn't hold a candle to Chocolate Chaga Smoothie Mix. Thank you ViraOne, for making one of the best health products in the world. " — Stephanie Dickison Toronto Food Critic & Blogger. 3% of ViraOne’s profits go to New Leaf Yoga Foundation to provide yoga for at-risk and incarcerated youth.